The Futurization Of Real Estate Webinar – Legacy – Plan. Prepare. Prosper. TAKE YOUR REAL ESTATE INVESTING TO THE NEXT LEVEL! to attract joint venture partners and raise capital! You can BE MORE, DO MORE AND HAVE MORE! One of your hosts is International Bestselling Author Jean-Guy (JG) Francoeur. 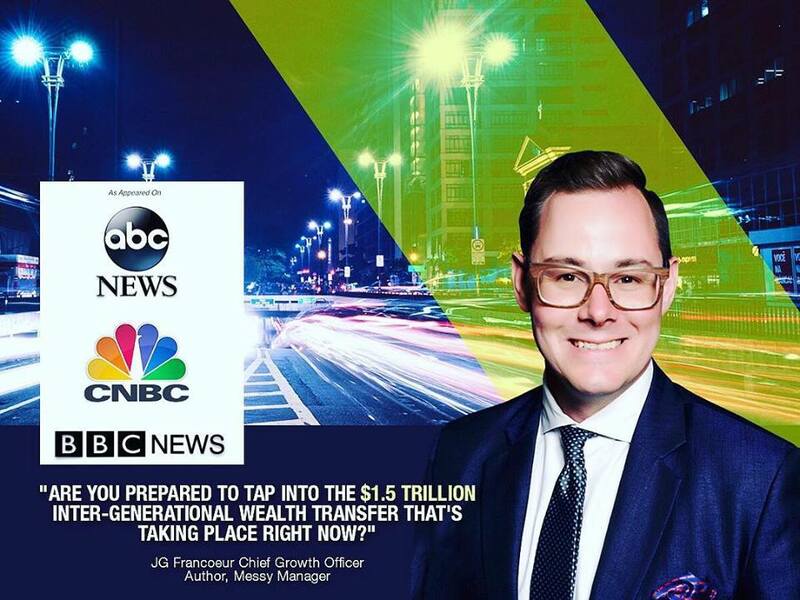 JG has written 4 books, built and sold several multi-million dollar companies and continues to be an active real estate investor and the Chief Growth Officer of LEGACY Council of Canada Inc.
D) Understanding exactly how you can POSITION YOURSELF as an industry leader, better serve your clients and skyrocket your return on investment! On December 8 at 12:00 pm EST | 9:00 am PST we are conducting an exclusive special FREE Webinar session for you. Save your seat before it’s too late – this event WILL fill up fast!